Forget what you’ve heard about vanilla being boring. Warm Vanilla Chai tea is a spicy twist on classic vanilla and pairs perfectly with your KRAVE® Very Vanilla e-cig. The smooth, creamy taste of vanilla is relaxing and can help calm the nervous system after a long day. The mixture of exotic spices balance this tea by adding rich and flavorful undertones. Try adding a splash of milk and honey and you’ve got the perfectly brewed beverage to enjoy alongside your Very Vanilla KRAVE® e-cig. Also known as Sakurayu, cherry blossom tea is traditionally made by brewing pickled cherry blossoms in boiled water to create an herbal tea. Luckily, we can take the lazy route by purchasing cherry blossom-flavored tea bags. Either way, cherry blossom tea is delicious, has numerous health benefits, and can give you that burst of energy to get through the day. For a delicious drink, steep this tea over ice and add stevia or honey for a little sweetness—and while this tea is good on its own, we think it pairs perfectly with a Wild Cherry KRAVE® e-cig. Apples and cinnamon make a great team so naturally, a cup of cinnamon spice black tea pairs perfectly with a Sour Apple KRAVE® e-cig. 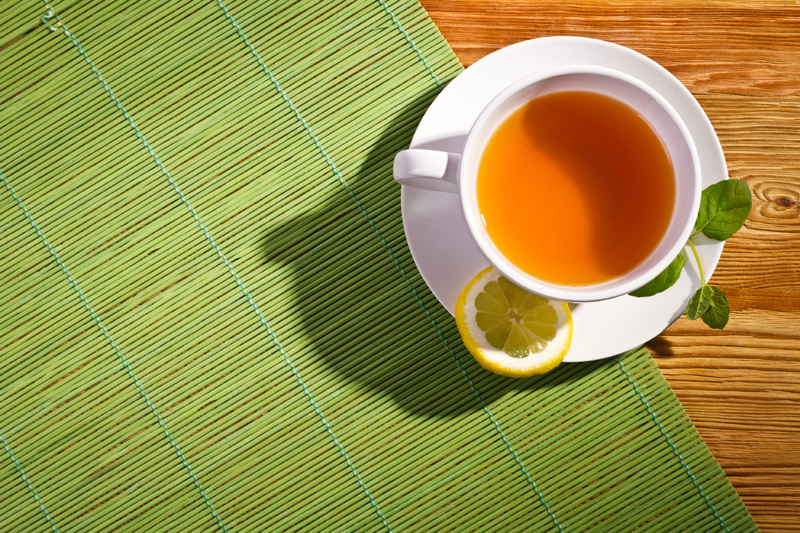 Black tea is more than just delicious—it’s chock full of antioxidants and can improve your oral and heart health. The added hints of cinnamon can reduce inflammation and give this tea a kick. Cinnamon spice black tea can be enjoyed warm or iced and is the perfect way to switch up your beverage lineup. You may have heard the word kombucha lately as the health beverage has been gaining more attention and popularity. Known for its health benefits and unique flavor, kombucha is tea that is fermented using certain bacteria and yeast. Packed with Omega-3s, antioxidants, and fiber, kombucha comes in a variety of fruity flavors, and is best enjoyed alongside a grape KRAVE® e-cig. Forget your basic green tea drinks—tea comes in an endless variety of flavors, including flavors to kick your sweet tooth. Many tea distributors have a tea blend that combines the energizing scent of coffee and the sweetness of cocoa—perfect when sipped alongside a Chocolate KRAVE® e-cig. Find your favorite blend and brew for a sweet treat. If you need an indulgent kick, add a splash of milk and sugar for extra richness. KRAVE® e-cigs come in a variety of flavors, so there is something for everyone. And while these are just some of our favorite pairings, KRAVE® e-cigs can be enjoyed anywhere, anytime. To check out the rest of the KRAVE® flavors, click here, and visit KRAVE® today to get an e-cig of your very own.